Could someone with better grammar and punctuation than me please start a reason to be optimistic thread. Our fanbase is at the precipice looking down and we're still a month away from playing any meaningful football. Post one good thing about the Redskins or just keep quiet and focus on the good in your life. NO Fan Cards excepted. I love it! Our front seven is on its way to being elite, and I can't wait to watch them once the real games start. I am confident the other units on offense will compensate for the loss of guice. Will be exciting to watch! 10-6 record. It will happen. Last year at this Time we were super excited with how Phil Taylor was looking and were relying on him to be a big part of our defensive front. This year despite being healthy and looking to be in great physical shape most people don't even think he'll make the roster. That's how much more talented our line is now. Good point, I do wonder if He stays healthy who He can beat out? In a matter of months, Guice managed to make such a big impact on his teammates. I'm giddy about his chances next year - but there's definitely a different feel about this team this year. In a matter of months, we've become a very tight knit team and I think our defense will be nasty.
" Win it all for the Guicester !!!! " He absolutely could beat out hood and make the roster. My point was more about how last year he was a lock and a starter and this year he's on the bubble. Reason to be optimistic is all. Quite true, we finally drafted not one, but TWO legit NT's, after going years running a 3-4 without doing so. Progress! I certainly hope that Phil remains healthy, and we have a reason to keep him. I also hope to gawd that Hood never sees the field as a NT ever again, and if he's out there he's playing a 3-4 DE, which is his natural position. Or better yet, he's not out there much at all, because other guys are stepping up, and not getting injured. Obviously those are both subjective, but I go back pretty far and this is the most comfortable I’ve been with our organization in 25 years... and I said the same last year. I think we were a 10ish win team last year if not for the out-of-the-ordinary level of injuries. And I think we took that roster and improved it this year. I wanted to resign Kirk, but that was due in large part because I thought the alternative was going to be Colt or start over in the draft— neither of those things excited me. I was pleasantly surprised when the FO nabbed Smith who I consider a slight upgrade from KC— and I think Smith probably has 3 or so years left playing at a high level so the age difference doesn’t bother me. I also love that we’ve addressed the DL in a legitimate way and I like the OL continuity and depth. I think our recent FA signings have been smart. Lastly, I’m a huge Gruden fan. I think he’s a very meh game manager, but I feel that way about 85% of Head coaches on all levels of football. I think he’s a sharp offensive mind, a good leader, and someone that has brought stability and accountability to our organization. Being a .500ish team for three straight years matters to me... a lot. It is NOT same ole’ Redskins. Same ole’ Redskins would have been to follow a playoff season with a disaster and starting over with a new staff; probably bottoming out as one of the worst teams/rosters in the league. Now, we’ve positioned ourselves where we are good enough that we can win 10+ game if we catch some breaks... in other words we are sort of a “normal” NFL team now and I think we’ve distanced ourselves from our cellar-dweller/embarrassment past. That is a big deal to me. this year it is manageable/normal where you lose guys from time to time for a few weeks here and there, but you don’t lose your entire OL at once or things like that. in the 8 win range. Need to see who is still standing after pre season first though. Depends. If we go 4-12, Nope. If we got 9-7, quite possibly. Good opportunity for one of the rookie UDFA WR's to make the 53 with the Davis injury too. Unless we have injuries to our defense on the scale of last year, I don't see 4-12 as a remote possibility. And as previously mentioned, the players fight for Jay and play extremely hard for him. I think that matters to the powers that be. It's possible. And to be honest, the injuries are already pilling up. However that was not the context of the answer. The person I was replying to asked if Jay would be back for another year because Guice went down. I said if we got 4-12 he won't be, but if we go 9-7 (not really much better than the last 3 years) he likely would. It was not a prediction of what would actually happen. You got that part, right? You summed up my feelings on the matter perfectly. I would like to keep them all MON, but you know one may have to go, and I wish him well in his travels. Absolutely feeling it. NICE Mon. Widespread panic, I remember you posting them before. I am done with the bad vibe Gruden Buy or Sell, hold threads, Imma feelin migh-t-y positive MON. I think Guice changed the vibe and the set back is just a set up for good things. Gruden for sure for me deserves a hard look this year. Last year the Coaches IMO did an amazing job with the hand that was dealt to them. I wanted to see him with a different signal caller and I hope for the best. As Kleese mentioned We have some depth and some good Coaching in house. The Skins should be able to overcome past struggles in the RZ if both Reed and Thompson are available for most the year. The DL should keep the team in games. 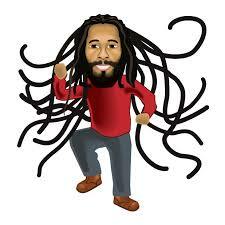 Yah Mon, It's good to be alive and moving the sticks forward. But there are also different types of nose tackles. My opinion is that daron payne and Taylor aren't really traditional giant fat bodied lane cloggers like you see in most nose tackles. They are more athletic and can be used in different spots along the line. The trade off being maybe they don't eat up as much space as guys like wilfork but I honestly think if Taylor is healthy he makes this team and they find rotational roles for him all along the front of the line. Stop it MON, this is positive vibration thread, take it to the injuries threads, any or all six of dem bruddah. =Come on Morne, time to lighten it up.